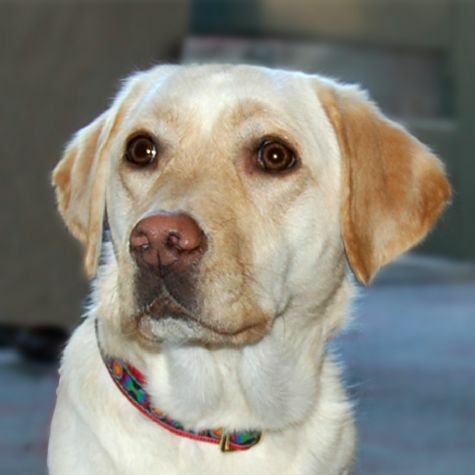 I am a yellow Lab, and even though I�m fully grown, I'm really small, and everyone always thinks I'm a puppy. I started doing therapy work when I was a little over a year old, and I love visiting with people. I was able to get out of having to attend obedience classes, and now all I have to do is go on visits, so I consider myself to be a professional visitor!